Mailchimp takes data security seriously, and we work hard to ensure the integrity of your data and information. If we notice suspicious activity in your account, we'll restrict access and ask all users to confirm their identities. 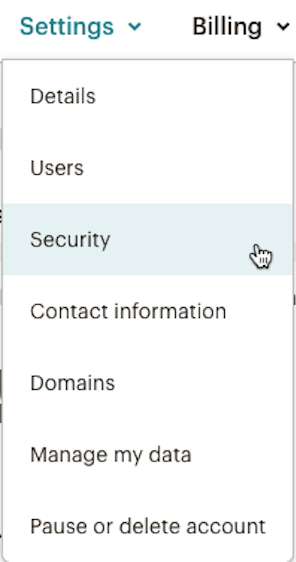 In this article, you'll learn about the different types of security features built into your Mailchimp account and how to use them. If you think your account has been compromised, our guide on how to handle possible breaches walks you through what to do. For more information about security, take a look at our security page. You can set up different levels of account access for different users. This allows you to limit what users can see and do in your account. 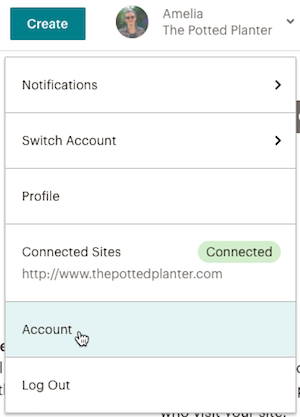 If you lost a mobile device with an application connected to your Mailchimp account, you can disable the application on the same page as API keys. Click here for more information about mobile device security. Set up Google Authenticator to add two-factor authentication to your account. This protects your account by requiring the user to have physical access to your mobile device before they can access your account. If we see unusual login activity on your account, we'll ask you to verify your account by answering security questions or through SMS text message verification. 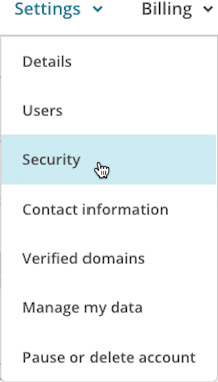 Choose which method you prefer, and manage its settings in the Security section of your account. SMS text verification is a great security tool, because it requires access to your personal mobile device. To link your account to your device, follow these steps. In the Verify identity using SMS section, click Enable. 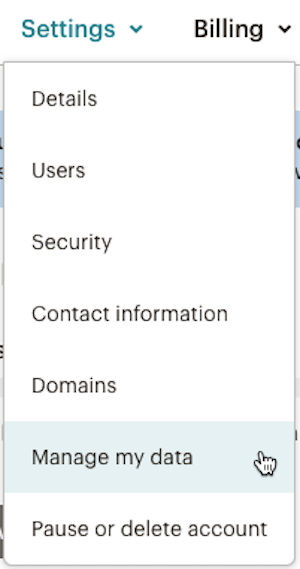 Click the Select Country drop-down menu and choose your country. Type your phone number in the field provided. Click Verify to send the verification code to your mobile device. 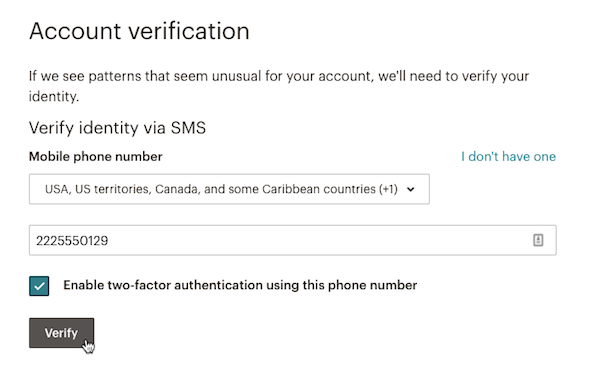 In the Verification Code from SMS field that appears, type in the verification code you received. You'll have the option to create three questions and answers to verify your account. For added security, we recommend you avoid questions and answers that can be guessed easily, change over time, or are available through public means like a web search. To set up your security questions, follow these steps. 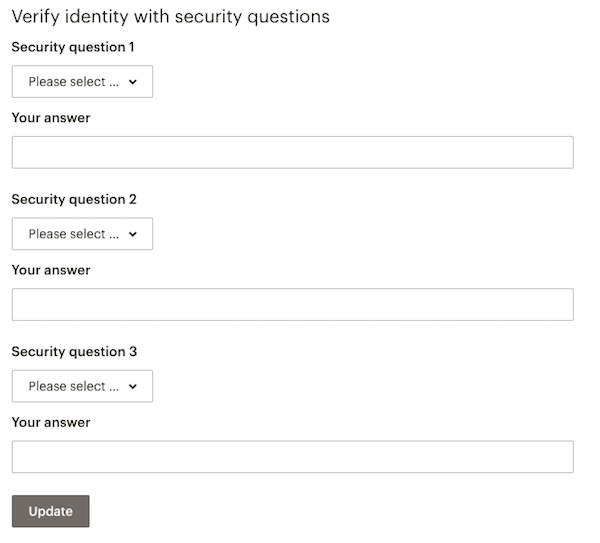 In the Verify Identity with security questions section, click Enable. Click the Please Select... drop-down menu and choose a security question. Type your answer in the corresponding field. When you've completed the questions you want to add, click Update. Our data analytics projects use data from Mailchimp accounts to improve some of our most powerful features. We track things like your sending habits and subscriber details, so we can make more informed predictions, decisions, and products for our users. If you prefer not to share your data, you can opt out of data analytics. If you'd like to opt out of our data analytics projects, follow these steps. Click the Settings drop-down menu and choose Manage my data. 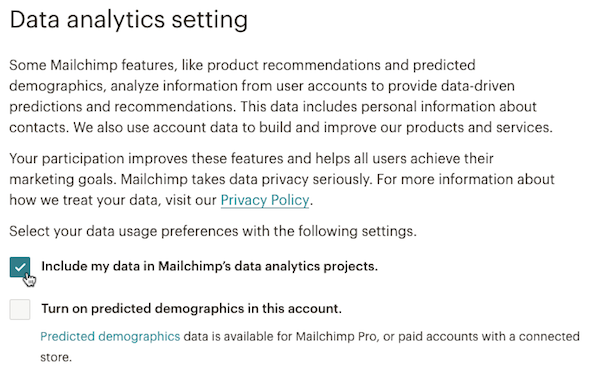 To opt out, scroll to the Data analytics setting heading and check the box next to Don't include my data in Mailchimp's data analytics projects. If you make a change to your participation in data analytics, you'll see the change the next time we refresh the database. Please allow up to 30 days for any changes you make to take effect.